If you ask any local about Prince George's County, MD-native, CRAMER, they would likely describe her vocal ability, effortless performance technique, and bright personality. But if you happen to catch CRAMER off-stage, you’ll discover an onion of an artist — a person weaving any and every story together through just about any artistic medium — including the visual, technological, literary, recording & performing arts. Soon after directing the University of Pittsburgh Gospel Choir for 3 years (2012-2014) and resigning to pursue her own music full-time, CRAMER won Hyundai & The Recording Academy’s Grammy Amplifier Program (2015), scoring resources and a wealth of experience for her continued musical growth. Since then, she has continued to headline festivals (Howard Theater, Studio Paris Chicago, Jones Beach NY, SXSW, Lollapalooza) and is currently investing her time and efforts into learning more about her beloved instrument - the electric guitar. Born and raised in the DMV, CRAMER’s heart has never left home. 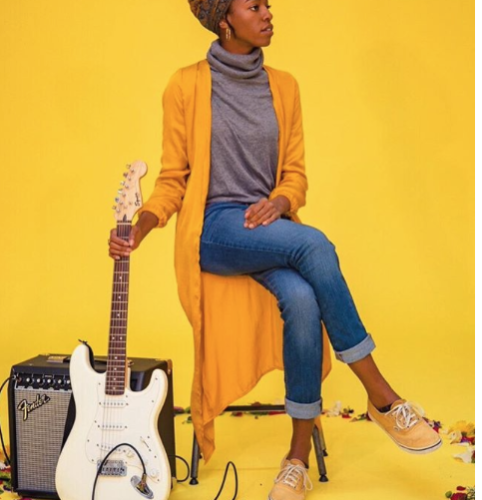 A now electric performer, guitarist, producer, and self-taught singer-songwriter, she is creating a name for herself on her own terms, and thusly becoming a familiar name in the DMV music scene.